Fedora 20: What's New In This "Heisenbug" Linux Release? Fedora 20: What’s New In This “Heisenbug” Linux Release? 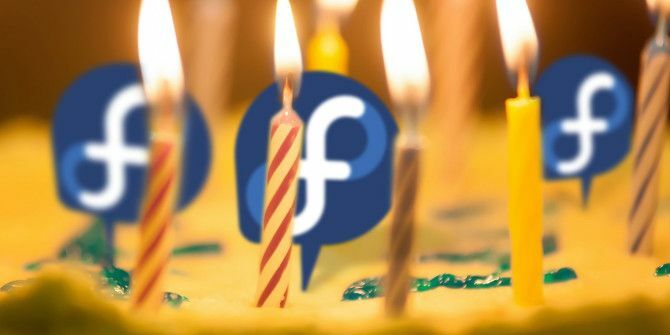 Fedora, a Linux distro that aims to be both easy to use and stable, recently celebrated their 10 years of existence with their 20th release – appropriately codenamed “Heisenbug”. As always, this bleeding-edge distribution comes with a ton of new features and other improvements over the last release. Let’s take a look at what Fedora 20 has to offer. First things first: Fedora comes with a lot of updated software. It now uses kernel 3.11 from the installation disk, but it has already updated to the 3.12 kernel and will most likely be upgraded to 3.13 or even 3.14 before support for this release ends. 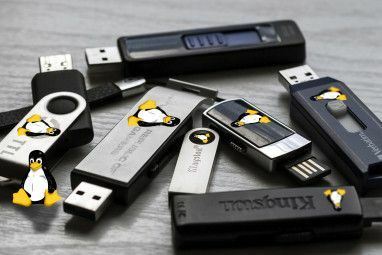 You’ll also find Gnome 3.10, KDE 4.11, Xfce 4.10, and even Enlightenment 0.18. Fedora also uses LibreOffice 4.1 for its default office suite, and it comes with the latest version of Firefox. 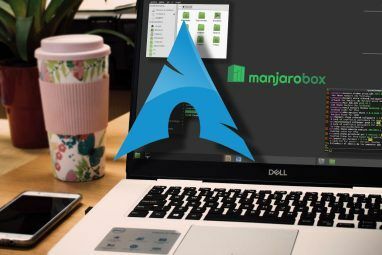 In addition, Fedora comes with the newest open source graphics drivers for Intel, AMD, and Nvidia – which is fantastic, because the latest releases of the AMD open source graphics driver have included patches that have massively improved performance. Fedora 20 now has a way to use Gnome Shell GNOME 3 Beta - Welcome To Your New Linux Desktop GNOME 3 Beta - Welcome To Your New Linux Desktop Read More with the up-and-coming Wayland display manager, which is set to replace the X display manager within the next couple years. This is thanks to preliminary support built into Gnome 3.10 – KDE is also working on Wayland support, but there isn’t a way to preview it just yet. To try it out, just run the command mutter-launch — gnome-shell-wayland –wayland from the terminal. You should get the Wayland experience (surprise, it looks and feels the same!). While Wayland support in Gnome is in pretty good shape, there’s still a lot of work left until Wayland can become the new default over X. Hopefully that time will be soon, because security developers are discovering all sorts of security bugs in X that date back decades (most of which are fixed now that they have been brought to attention). Under Gnome, the regular PackageKit software browser application has been replaced with the Gnome Software Center. The Gnome Software Center can be compared to the Ubuntu Software Center, but it is available (or will be) in all distributions using Gnome except Ubuntu. It can load information from your distribution’s repositories, whatever they happen to be. The Gnome Software Center also takes over updates for the system, and implements a new way of doing so. For any updates it considers to be an OS update, you will see a “Restart & Install” button, meaning that Fedora can now install updates while booting. I suppose this isn’t a bad thing, as you can be sure that the updates are in effect once you return to the desktop. If you’d like to apply updates without having to restart your computer, you can still do so with the command “sudo yum upgrade”. The Gnome Software Center now shows applications rather than packages, a concept some longtime Fedora users might not love. If that’s you, install the Yum Extender (package name: yumex) so that you can browse through all available packages, just like you used to. Fedora offers multiple versions, or spins, of all its releases. 20 is no different. If you look at all available spins, you’ll now see a MATE-Compiz spin available for download. As you might infer, this spin uses the MATE desktop environment with Compiz A Review of MATE: Is It a True GNOME 2 Replica for Linux? A Review of MATE: Is It a True GNOME 2 Replica for Linux? 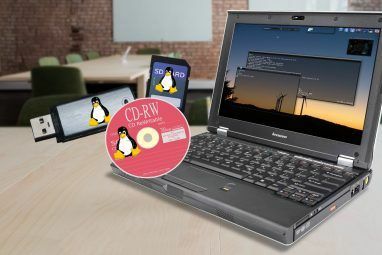 The world of Linux desktop environments has dramatically changed since then. Gnome 3 was born, Gnome 2 was essentially thrown to the side, Gnome 3 was forked to create Cinnamon, and so on. However, Gnome... Read More for desktop effects so that you can go back to a supported Gnome 2 desktop. Cinnamon is also available Cinnamon 2.0 Ditches GNOME, Features Enhanced User and Window Management Cinnamon 2.0 Ditches GNOME, Features Enhanced User and Window Management Cinnamon, the desktop shell using in Linux Mint, has finally released v2.0, which features new window tiling and snapping, along with enhanced user management options. Read More for installation, but isn’t available as a spin ISO. To install Cinnamon, run the command use yum groupinstall “Cinnamon Desktop” and choose the Cinnamon session from the GDM login screen after installation has completed. ARM has now become a primary architecture for the Fedora Project, starting with Fedora 20. Because all packages are now built for x86, x86_64, and armv7hl, Fedora 20 should expand the repositories for any ARM installations by quite a bit. Fedora for ARM spins have also become official now, and should be downloadable for various ARM platforms. While it’s not quite certain when exactly it will happen, Fedora is slated to replace the yum package manager with DNF at some point. DNF is meant to become a drop-in replacement for yum, where DNF provides faster dependency resolution and much cleaner code to maintain. You can preview it right now by replacing all yum commands with dnf, but remember that it is not yet feature complete – and that you should use yum for any actual work. Overall, Fedora 20 is a great release and should make regular Fedora users quite happy. It’s fast, stable, and just works. Some have argued that it’s the best Fedora release in recent memory, so if you’ve been curious about Fedora, there’s never been a better time to try it out than now. What’s your opinion of Fedora? What’s your favorite feature of Fedora 20? Let us know in the comments! Yes, the anaconda installer is a mess. The blame goes to all those developers who are doing absolutely nothing to solve the ever growing bug list. Take a look at Bug #986431 on redhat's bugzilla assigned to Peter Jones. That's been just sitting there untouched for over a year now. Probably by Fedora 21, they're evolving super fast lately. Nothing new. Back to Windows 8. I like this so much. I,m going to use this os after removing my pirate windows 8. I already have work with F15 based os. and F16 & F18. "What’s your opinion of Fedora?" Wonderful distro, probably worst possible installer. Seriously, new Anaconda, more precisely, its partition management is tragic. It's too childish for pros, and too pro for amateurs. Couldn't agree more. I am an amateur and I fled from the partition management page twice before finally figuring it out. I love how Fedora's boot and shutdown animations are super smooth, but it needs to fix the installer and the default font rendering, both of which Ubuntu does better. I also agree. The distro itself is fantastic, but the installer takes some getting used to. I can use it just fine now, but I'm sure I had many question marks on my face when I first tried it out. Everything was great, until I realised it killed my wireless drivers :(. From what I've found, this is a comon problem for broadcom wireless cards in Fedora 20.